Student projects varied by team. Team Marine QuikSCience focused on raising awareness about solutions to our global plastic pollution, climate, and energy crises while Team Marine Edison (a.k.a. “The Lab Coats”) focused on the Surfrider Foundation Teach and Test Ocean Water Quality Monitoring Program and the Recycle for Life Straws Program. 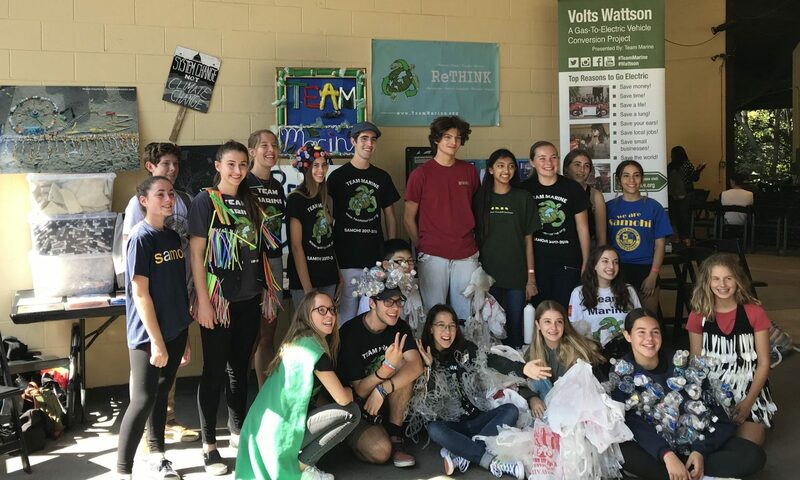 While varied in focus, the two teams frequently collaborated with one another and recruited numerous peers and community members to participate in their endeavors. 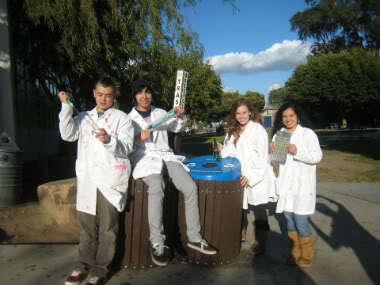 Some of their achievements this year include producing an educational documentary about plastic marine debris, making how-to videos for the Teach and Test and Life Straw Programs, collecting 26,764 recyclables to raise money to buy and send water-purifying Life Straws to Cambodia and Africa, conducting a waste characterization study on marine debris around the Pico-Kenter and Venice storm drains, performing research on the buoyancy of disposable plastics, building a predictive model for plastic accumulation in near-and offshore marine habitats, organizing and leading a large student march through the city to promote a ban on single-use plastic bags and water bottles, lobbying state officials in Sacramento to adopt bills that would reduce plastic marine debris and green house gas emissions, building and racing a 16” solar boat for the 2010 Solar Cup, testifying at public hearings to persuade the Blue Ribbon Task Force and stakeholders to adopt the scientific recommendations for marine protected areas being established in Southern California, speaking in front of 6,000 youth at the Los Angeles Environmental Youth Conference, instituting a mentorship program for local middle school students to teach them about ocean water quality, developing and teaching their new 10R sustainable curriculum to community members all over LA county, and filming with Teen Nickelodeon for the Halo Award TV show. Hey. My name is Megan Kilroy. I am 18 years old and a senior at Santa Monica High School. 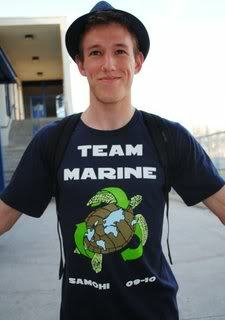 I am the Captain of Team Marine 09-10 and was a member of team Marine 08-09. I love our planet and am committed to spending everyday of my life trying to make it a better place. 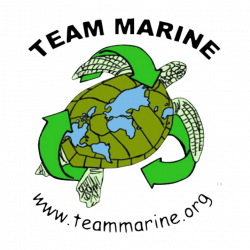 My favorite part of Team Marine is being able to teach the youth about how they can help save the planet as well and inspiring them to make changes in their own lives. 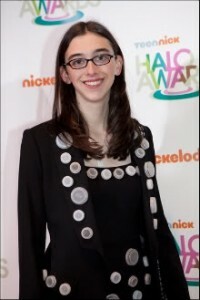 I was a recipient of a Halo Award from Teen Nick for my work with Team Marine. Last year I was the captain and skipper of Santa Monica High School’s first solar boat for the Solar Cup competition sponsored by the Metropolitan Water District of Southern California. I have been invited up to Sacramento twice where I lobbied Senators and Assembly Members for Assembly Bill 925 as Capwoman. I want to say thank you to my team and my family who support me so much. I couldn’t do this without them. My motto is that everyone can make a difference and I live it, love it and teach it everyday. It is the surroundings that i find myself working in daily that provides an opportunity to do exactly what i truly care about. A universal dilemma that constantly flows through my waking soul. I care about our environment. The oceans are polluted with debris and toxins of assorted variations due to our “lazy generation.” It is also the minds of people who are polluted with debris and toxins of assorted variations due to our “crazy generation.” I feel as though I am one to speak for those who cannot. I think there is much to be said in this world we call home, and people don’t take the time and effort to give after they have taken. “There is enough in this world for everyone’s need, but not for everyone’s greed.” I love beach and outdoor activities such as riding a bike along the coast of California and up the Santa Monica Mountains. I believe anyone and everyone can make a difference. As small and incompatible one may think his or her doing is, every little thing can and will create change. My name is Raphael Mawrence. 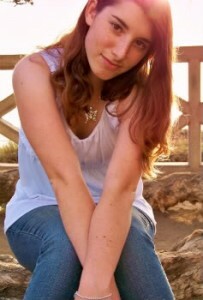 I am a 17 year old senior at Santa Monica High School, and i intend to change the world, one aquired ally at a time. 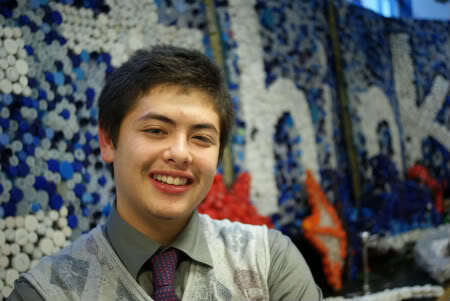 Hi, my name is Jacob Cruz Hassett and currently I am a Senior attending Santa Monica High School. I am 17 years old and have many aspirations. I am aspiring to be be a model, chef, musician, and most recently, someone that will make a difference in the world. It was only recently that when I walked into my marine biology class that I was sure what I wanted to do for the rest of my life. I was awaken from a long period of ignorance that I had lived my entire life with. I realized that I was contributing to an assuring doom of the earth if I had kept up with the wrongful choices I made every day. Recycling, littering, and driving harmlessly was never something that I took seriously. Only recently had I discovered my passion to help save the environment after the mess I’d helped create in destroying the environment. Now I’m doing more than I’d ever thought was possible and I know that this is what I should be doing for the rest of my life. I am having the greatest time of my life and I know that I will achieve at least one aspiration. I am going to make a difference. 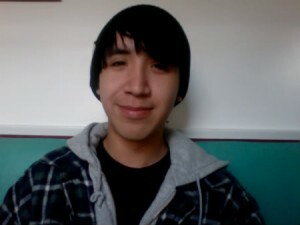 Hey, my name is Daniel and currently I am a Junior at Santa Monica High School. I am 16 years old and aging. My future is still in a fog but one thing I wish to accomplish is make a change in the world. I enjoy the little things in life, and photography. I also like to play the ukulele when i have time and im thinking of going professional(future band name: the crazy ukes). Some people can hear about all that is going wrong in the world today but not care until it effects them in their everyday life. Not much in life is certain, but the world will certainly fall to the ignorance of man. We must be the change because the youth is the future and if we don’t learn now, it may be too late. Hey my name is Kou, pronounced ko not koo. I am currently a junior at Santa Monica high school. For most of my life the ocean has played a large role in my life. When I was four years old my dad would take me to the beach, usually I would watch him surf in the morning and it intrigued me. Ever since I have had a connection to the ocean. A couple years later I made the transition of watching my dad surf, to actually surf with him. As I continued to surf, I noticed how disgusting the water can be, and I wanted to make a difference. I did not know how to until the beginning of my junior year of high school when my marine biology teacher introduced me to Team Marine. Being on Team Marine not only deepened my love for the ocean, but opened my eyes to other issues that exist on the planet. 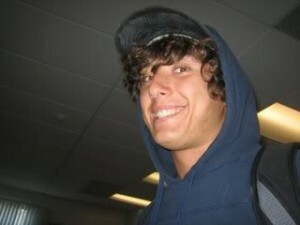 Other than surfing I enjoy music, basketball, and film. I am very glad to be on Team Marine and know I can make a positive impact. Hey everyone! My name is Melanie Delia I’m 17 years old and I’m a senior at Santa Monica High School. I was on Team Marine 08-09 last year and this is going to be my second year being on Team Marine. I had such an amazing experience last year from being the first bottle cap woman and going around to schools teaching others about what is going on in our environment I just had to be apart of it again. I have loved the environment and the ocean ever since I was a little girl. My goal was to really make an impact on the world, no matter what, and being on Team Marine has done exactly that and more. Not only have we banned plastic bags in Santa Monica, but also been featured in a Japanese TV show viewed by millions and most recently the Teen Nick Halo Awards. This is a journey and experience that I will never forget. 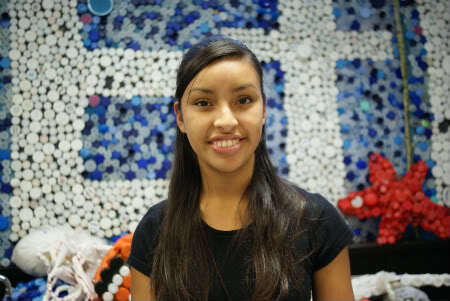 Hey there my name is Eileen Flores I am a senior at Santa Monica High School and I have actually recently transferred to this amazing school just last year. I am a huge fan of soccer in general and I have been playing the sport since I was about seven years old and still playing to this day. I’m really into science all around whether it be chemistry, marine biology, human biology, even zoology, it captures my attention every time. I have big dreams of becoming a doctor one day and I know that one day I’ll reach that point some day. One of the perks of going to a Samohi is that it’s so close to the beach I love to run on the sand whenever soccer practices were held and I go to the beach every chance I can in the summer. In the previous year I became ten times more consciously aware of environmental issues regarding the ocean that I become inspired to try and do something about the ongoing issues at the moment and redeem our planet to how it was when it wasn’t polluted. Therefore, I am so stoked to be on Team Marine this year and hope to accomplish all our goals and lead others to get on board so we can all make a difference. Hello. This is Valerie Wacker, at your service. 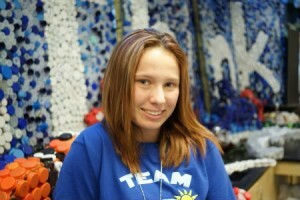 I am an 18-year-old senior at Santa Monica High School and a member of Team Marine 09-10. I supported Team Marine and was on the Solar Cup team last year, and that was an incredible experience. And this year, our team’s momentum has started moving fast, as we have many projects to do, people to see, and people to change. Over the past few years, my love for the ocean and all of its inhabitants has grown. Yet it is in danger, due to climate and marine debris crises, over-fishing, etc. As a part of Team Marine, I strive to protect this fragile, underwater world and change the behaviors and outlook of those who are intentionally and unintentionally hurting it. The sensation of teaching and affecting other people to protect the thing I love is what reeled me into my passion of the ocean. 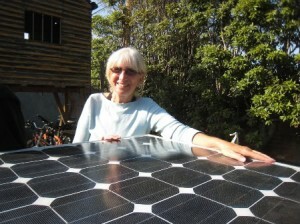 The green movement has started; I have changed, and so will the rest of the world. This will be my second year to have the incredible opportunity to be a part of Team Marine. Team Marine is a journey and an adventure; with a tremendous and immeasurable learning curve that is life changing. The teamwork and collaboration is empowering and enriching. I also grew up in West Los Angeles and spent my youth on the Santa Monica beaches, sailing, diving, biking, boogie boarding, and always interested in the marine environment. I have taught multiple subject areas in high school for more than 30 years and now mentor teachers in the BTSA program. I served on the Board for Outward Bound Adventures, Mt. 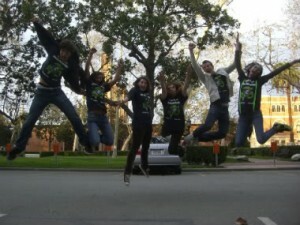 St. Mary’s College, and currently serve as an outreach educator for Roots & Shoots with the Jane Goodall Institute. I deeply care about our oceans and feel that we are all stewards of our environment. I am excited about working with ’09-’10 Team Marine!